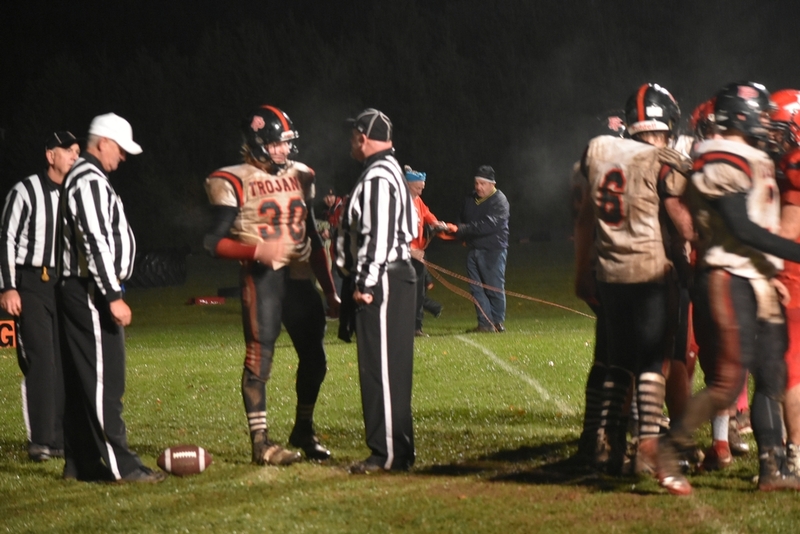 The Forest Park Trojans and Rapid River Rockets pulled off playoff surprises Friday night as the post-season began. 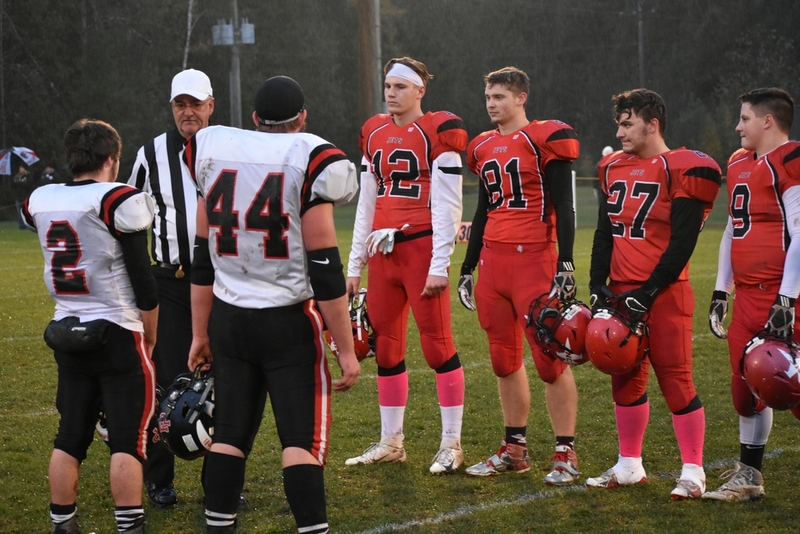 The Trojans stunned top-seeded North Central, 36-24, while the Rockets turned back the favored Engadine Eagles, 20-18, in Engadine. The result sets up an unlikely regional championship game between the 6-4 Trojans and the 7-3 Rockets next weekend in Rapid River. The teams did not play each other this year during the regular season. 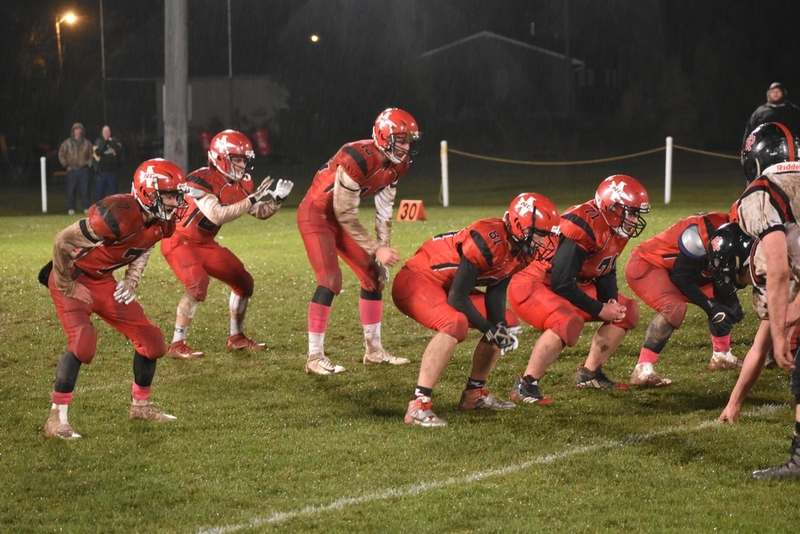 RAPID RIVER 20, ENGADINE 18---Tyler Sundling's 57-yard touchdown run put the Rockets in front, and then the Rapid River defense stopped the Eagles on two separate occassions. 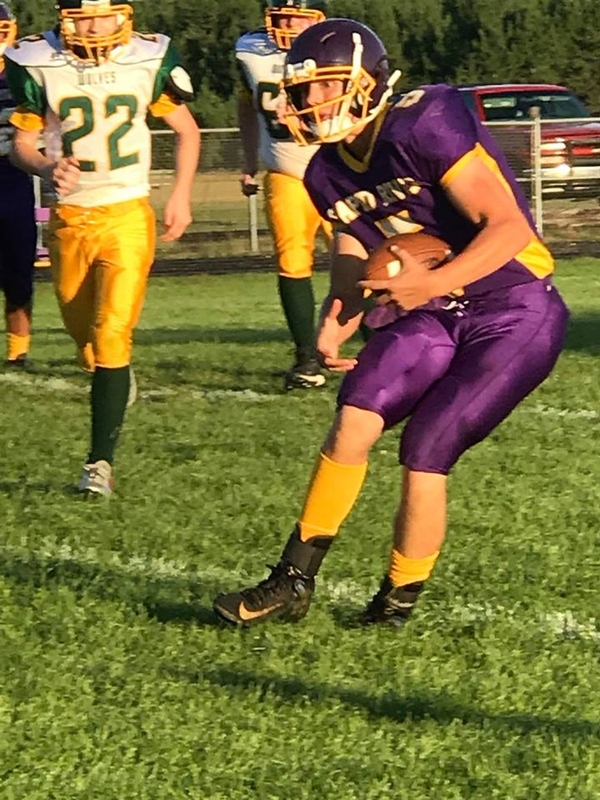 The last possession was an impressive drive by Eagles quarterback Andrew Blanchard, as he led his team nearly the length of the field, helped along by pass infererence and roughing the passer penalties. 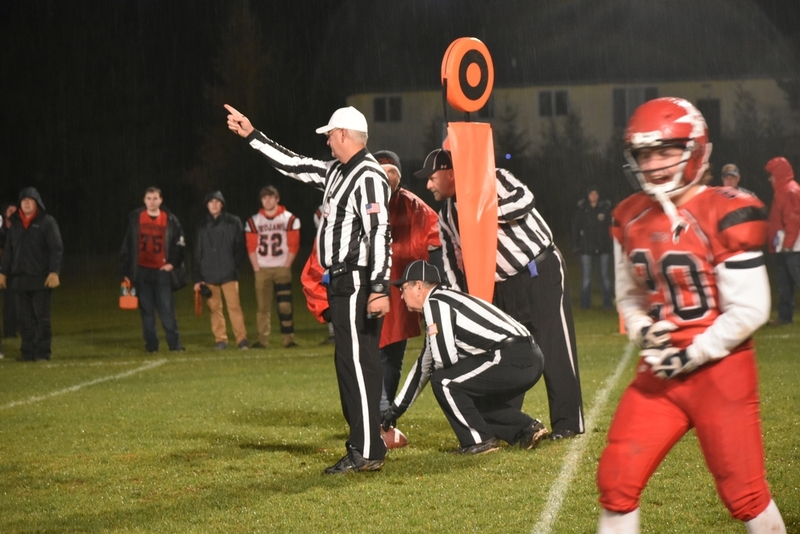 But in the final seconds, with no time outs left, the Eagles committed three consecutive five-yard penalties. Then the game ended with Blanchard lofting one into the end zone that was intercepted by junior varsity call-up Griffin Flath. Game over. "I was just reading my guy," Flath said. "Everyone had really, really good coverage on that last play. He threw it up, and I made a play on it. You know, it just happened so fast, I can barely remember it." 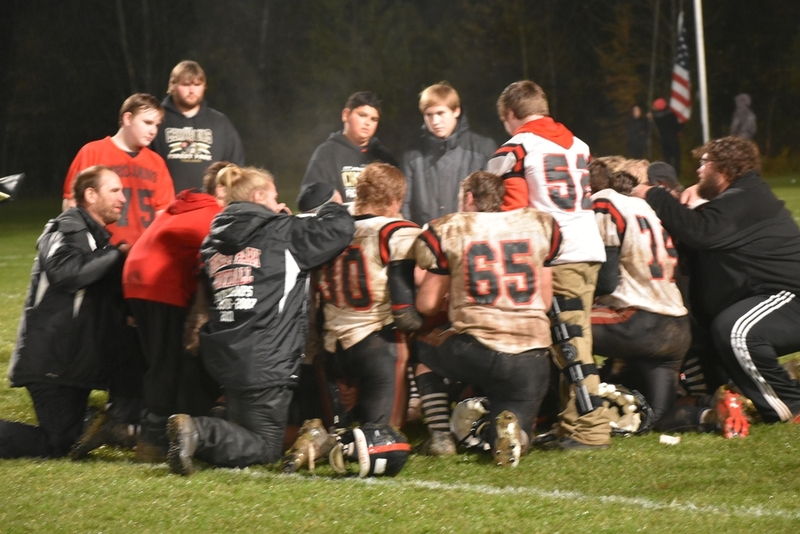 Engadine (8-2) had defeated Rapid River, 30-12, in a regular season meeting. 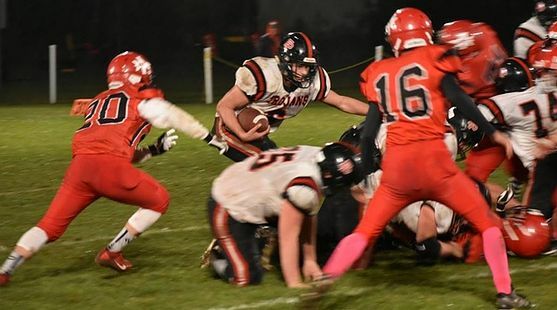 FOREST PARK 36, NORTH CENTRAL 24---North Central jumped to a 12-0 lead on a pair of long touchdown runs by quarternack Brady Eichmeier, covering 47 and 87 yards. 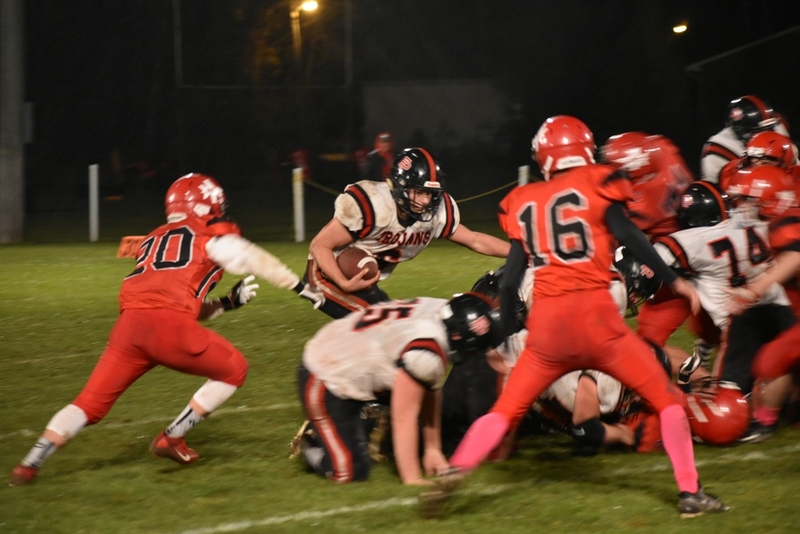 Eichmeier also had a three-yard touchdown run in the second quarter. But Forest Park wore the Jets down throughout the game, putting together long drive after long drive, almost exclusively on the ground. 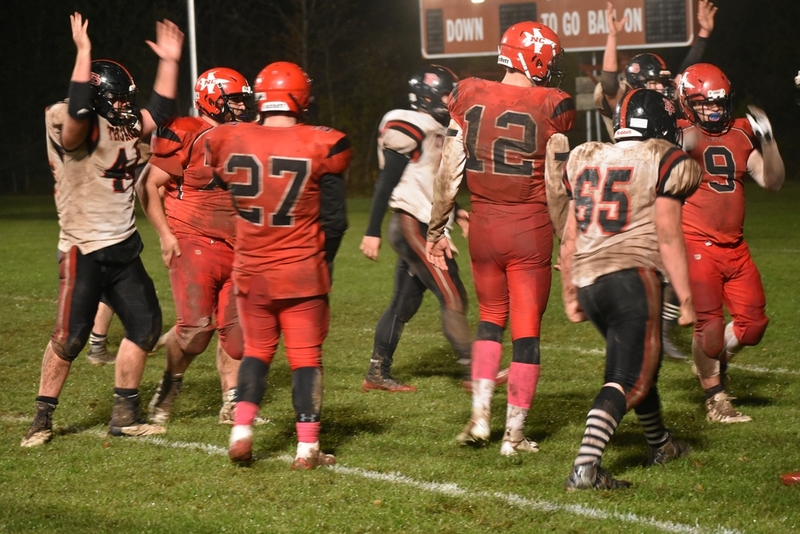 Quarterback Tommy Peltoma scored four touchdowns on the ground, all of them from inside the red zone. 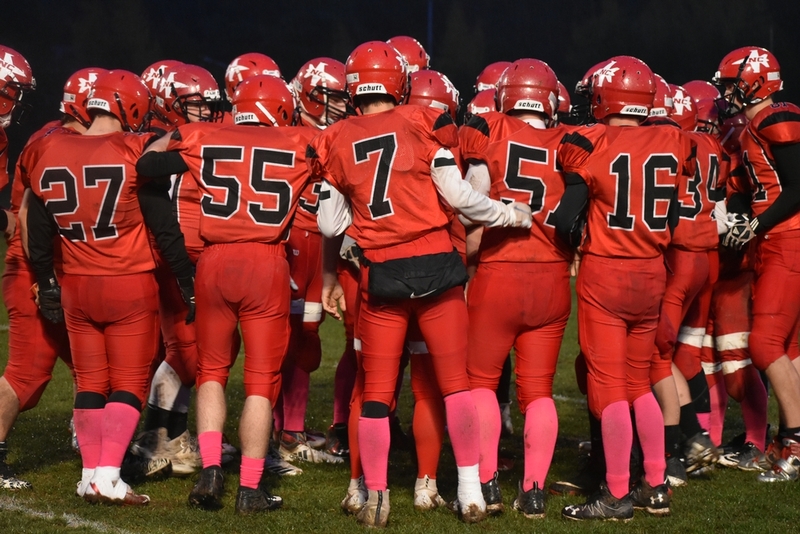 The Jets led, 18-14, at halftime, but found the end zone just once in the second half, on a long touchdown pass from Eichemeir to Noah Gorzinski. That gave NCA a 24-22 lead midway through the third quarter, but the Jets missed all of their two-point conversion attempts. And from there, the Trojans took command with two fourth quarter scores. Peltoma threw a touchdown pass to Tommy Showers with 10:31 left to give CFFP the lead for good, and then after the Jets turned it over, Peltoma closed the scoring with his final touchdown run with 2:32 left in the game. 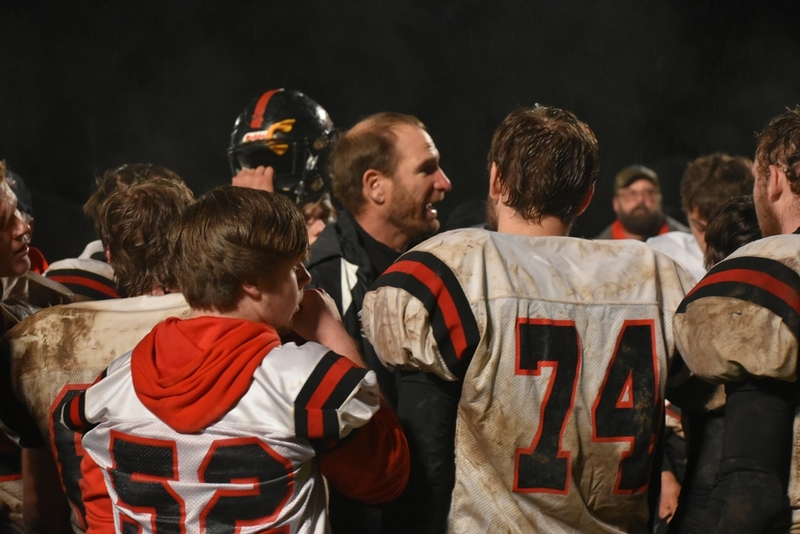 "I think the difference in the game was that we were able to move the ball on offense this time," Forest Park Coach Dave Graff said. "The first time we played them, they really stuffed our off-tackle runs. Our guys took it to heart. And they came off firing, and we were able to establish off-tackle. And defensively, we were able to stop them in the second half. This is great for the guys. They worked hard." 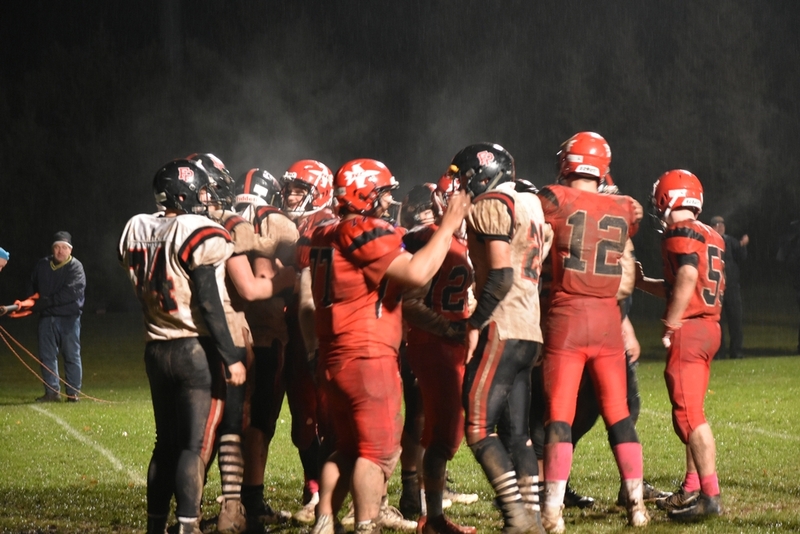 The Forest Park-Rapid River game will be broadcast live on WUPF-FM (Eagle 107.3). 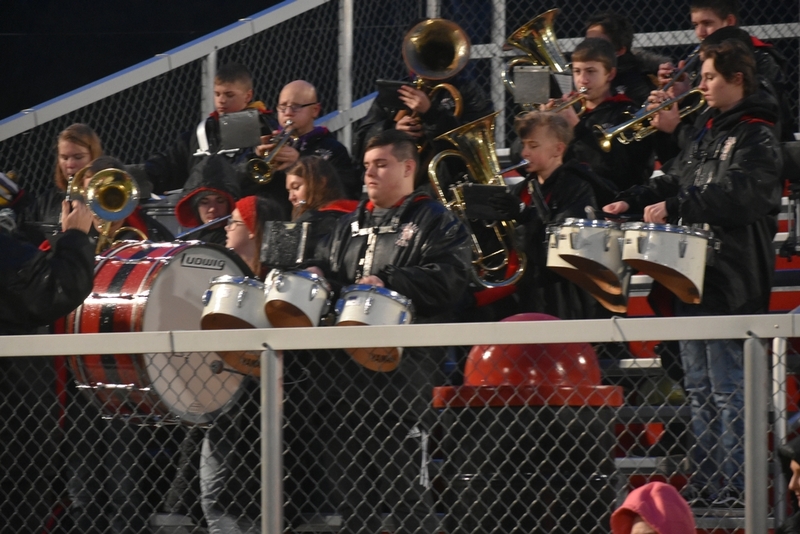 Click the thumbnails in the ARTICLE HIGHLIGHTS box above to see photos, videos from the North Central-Forest Park game.